Summit Entertainment has revealed the first look at True Grit star Hailee Steinfeld in the sci-fi adventure Ender’s Game, starring Asa Butterfield, Steinfeld, Harrison Ford, Ben Kingsley, Viola Davis and Abigail Breslin. In the new movie photo, Petra Arkanian (Steinfeld) and Ender Wiggin (Butterfield), with a Salamander Army patch on their arms, talk in the mess hall of Battle School. Based on the best-selling novel by Orson Scott Card, set in Earth’s future, only the best and brightest children are recruited by a government desperate to fight back after an alien attack. When young Ender emerges as a genius strategist, he suddenly becomes humanity’s last and best hope to destroy the insect-like alien race. 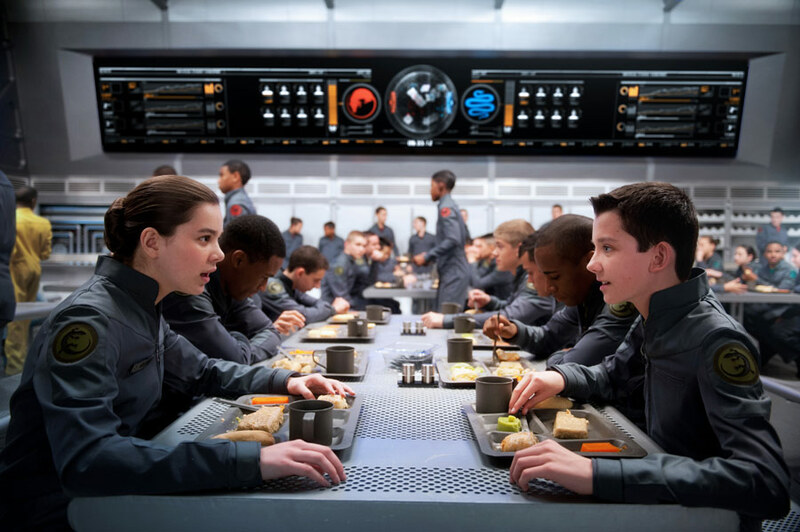 Ender’s Game opens in conventional theaters and IMAX on November 1, 2013. You can check out the new photo below.